Its ideal for any runner. If you've been in hibernation over the winter, then it might be just the race to get you going for the summer! In addition to the 10km there is also a 1km childrens race. 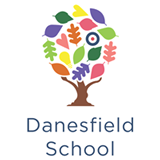 All proceeds go to Danesfield School. Although a lot of the race is off road, it also takes in some country lanes. If it has been wet, you might want to look at a trail shoe. If though the ground is fairly dry, we would suggest wearing your road shoes. One of the most popular races in the area. The almost flat course is ideal for the beginner runner looking for their first 'proper race'. If you've just completed a Couch to 5km programme, then this could be your next challenge! The race though always attracts some top runners and is normally won in 25mins or under. A 'light' trail shoe is ideal. A lovely mixed terrain event run from Burford school in Marlow Bottom. After a gentle start on the road, the race gets more challenging, with some very challenging climbs. 10km and 5km options and a children's race. Either a light trail or road shoe. 2018 sees the 37th running Wycombe Half Marathon. Now starting and finishing at Adams Park, the race takes in a mixture of terrains. In addition to the Half there is an increasingly popular 10km race. Although the race takes in some trails, a road shoe is still advised.